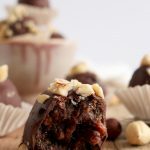 Inside Scoop: The most delicious Chocolate Hazelnut Bliss Balls, a healthier Ferrero Rocher snack. 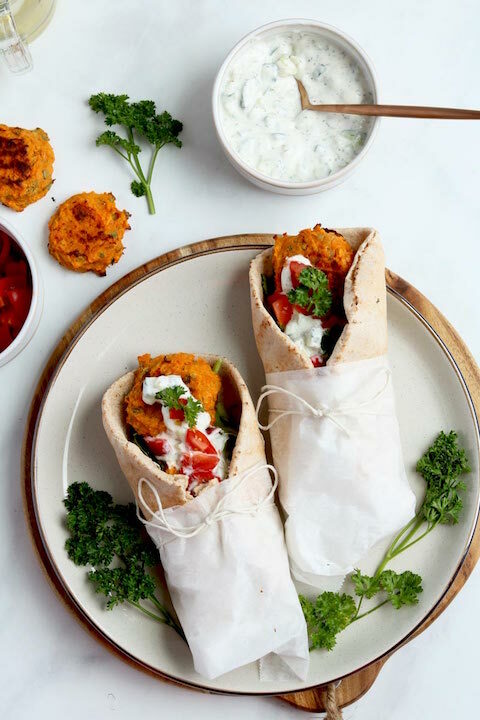 This recipe was submitted by Tara Thorne, Registered Holistic Nutritionist with a focus on helping busy mums take control of their health and happiness. Ferrero Rocher move over, there’s a new kind of hazelnut chocolate treat in town, and it’s raw, made with simple ingredients, low in sugar, and still contains a wild amount of chocolatey goodness. 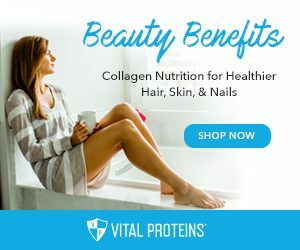 This recipe was actually developed by a fellow nutritionists friend, Tara Thorne who helps busy moms take control of their health and happiness. It’s a recipe that was a long time coming, and we have been craving it on a regular basis. But, sometimes the recipes you crave the most are the hardest ones to photograph because, you blink, and they’re gone. Thank goodness we finally got around to taking some pretty pictures of it, wink wink. Which is awesome because we get to share it with the world. If you are a hazelnut lover you are going to LOVE this recipe. If you love rocher, you’re going to love this recipe. And, if you love healthy alternatives… well, we don’t even need to say it again. 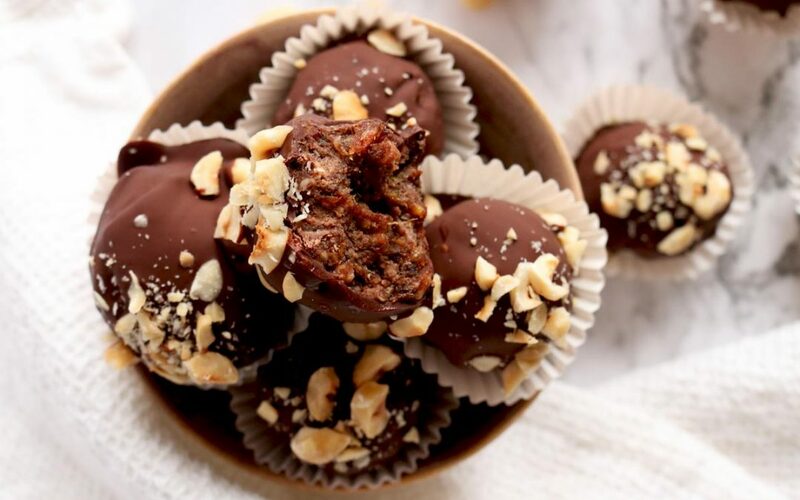 These Hazelnut Bliss Balls amplify the health benefits of hazelnuts, with high fibre cacao, the sweetness from dates, and then the chocolatey coating. 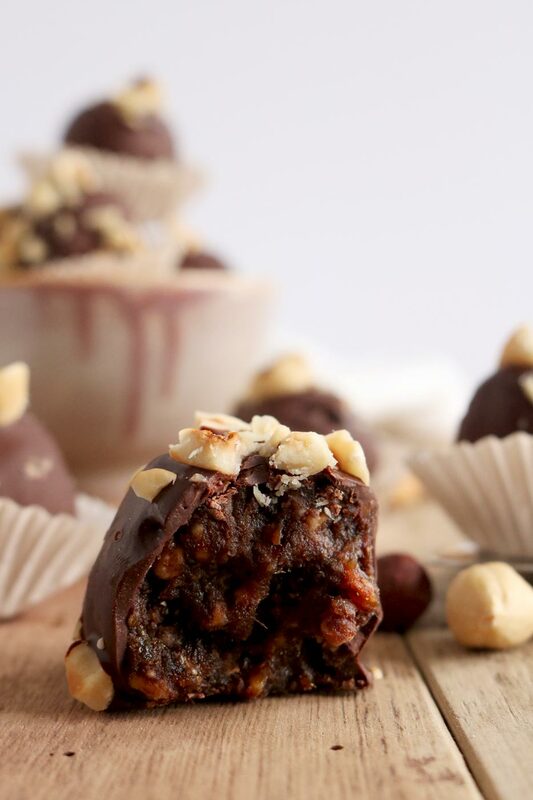 You can even go the next level and add a single hazelnut in the centre before rolling these energy balls, so it’s like a literal Ferrero Rocher explosion in your mouth when you take a bite (wish we thought of it before we made them to be honest). 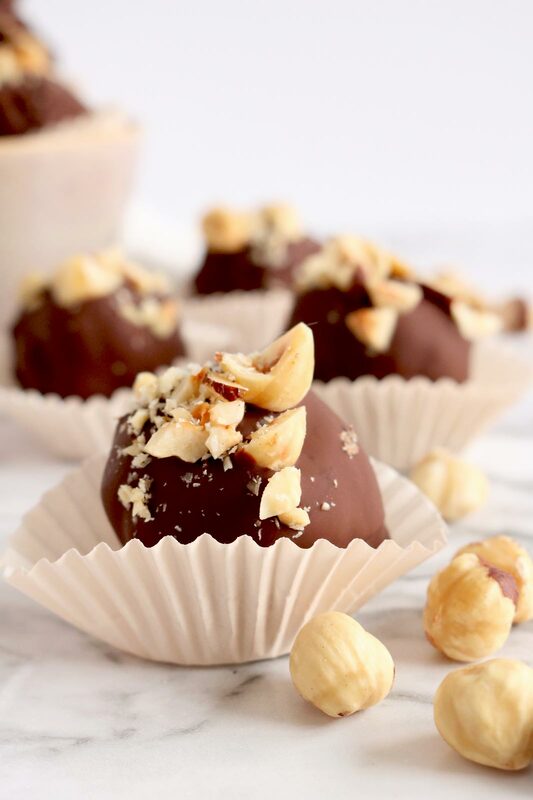 These amazing Chocolate Hazelnut Bliss Balls are a perfect healthy alternative, that are incredibly simple to make – we definitely have more where that came from. If you’re loving how easy, healthy and delicious these bliss balls are, you’re going to LOVE these 5 Ingredient Paleo Chocolate Chip Cookies, which are part of our free 5 Ingredient Mini Cookbook. 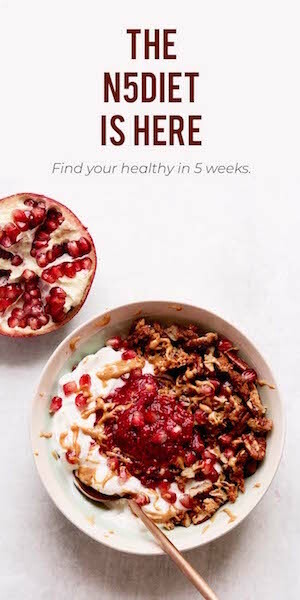 TAKE THE 5-INGREDIENT CHALLENGE TODAY! 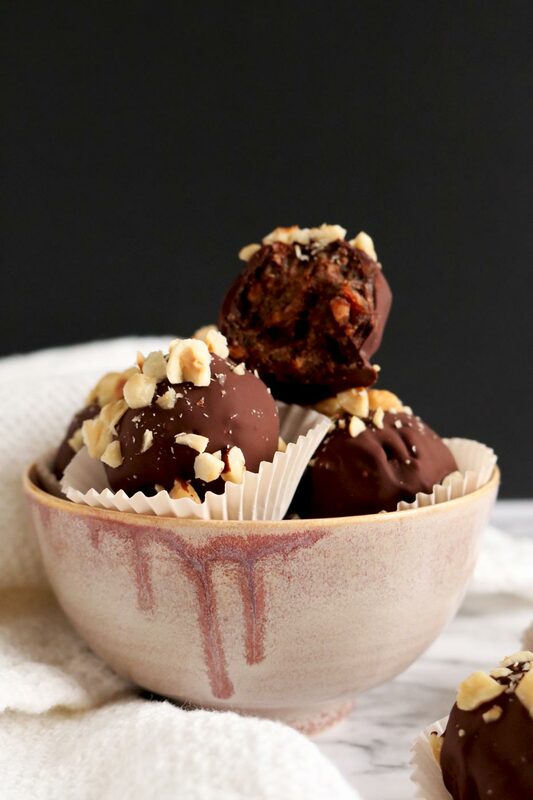 These chocolate hazelnut bliss balls are the perfect healthy alternative to your Ferrero Rocher chocolate treat. 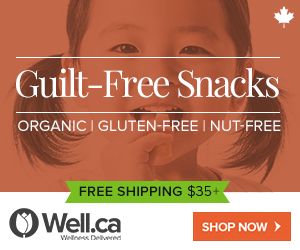 They can be made sugar-free, are packed with healthy, whole food ingredients, and are an amazing energy ball, snack and sweet treat. Combine all ingredients (except for chocolate chips) into your food processor or high speed blender and combine until smooth. If the mixture is quite runny stick it in the fridge for a bit until it's a bit firmer. Heat your chocolate chips on a double broiler until melted, or microwave for 30 second intervals until melted. Roll 1 Tbsp dough balls into the coconut, place in a dish lined with parchment paper, cover and place in fridge (or eat straight away!). Roll 1 Tbsp dough into balls and coat in the melted chocolate. Place in a dish lined with parchment paper, cover and place in freezer for 1-2 hours. 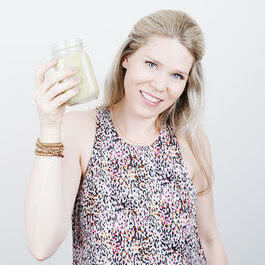 Tara is a Registered Holistic Nutritionist with a diploma from the Canadian School of Natural Nutrition. She also has training from the Institute for Functional Medicine, specifically in hormones and is currently finishing up studying to become a Certified Functional Nutrition Coach. Tara is an expert at interpreting the DUTCH comprehensive hormone test and MTHFR and nutrigenomics, having studied methylation and clinical nutrigenomics at the Seeking Health Educational Institute. 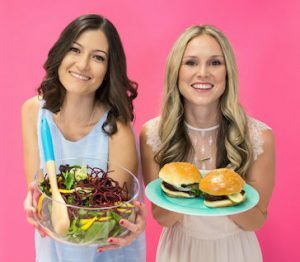 Tara’s practice focuses on helping busy mums navigate the overwhelm and confusion surrounding how to live healthfully in a hectic world by providing evidenced-based functional nutrition and lifestyle strategies. She is a mummy of two, an entrepreneur and a writer who writes for publications around the globe with a specific focus on nutrition. 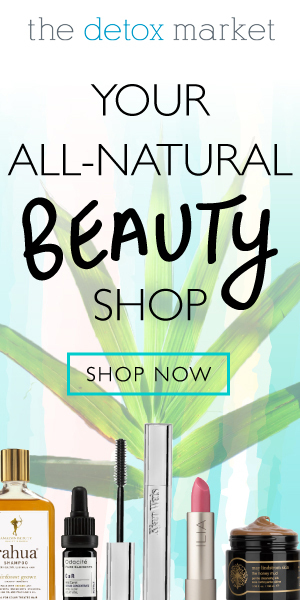 See what Tara is up to by visiting her business http://tarathornenutrition.com/ finding her on Facebook, Instagram or Pinterest. 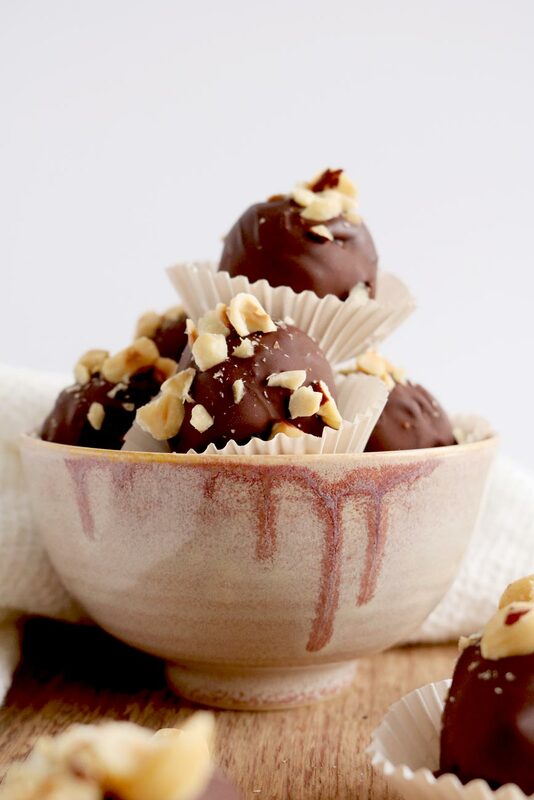 I love chocolate and hazelnuts together and these chocolate balls look so delicious! Also a great idea for Valentine’s day! Yes, hazelnuts are our favourite nuts! These are divine. It’s so good Mary 🙂 Hope you enjoy it!